So often it seems there is more to catching fish than simply dropping great looking lures in front of them. Consider this common scenario- Two guys with equal angling skills are fishing side by side. They are using identical tackle and casting the same flies into a fish-filled channel. For one guy the bite is on. He’s catching fish on every other cast and happily giving his buddy a play-by-play of each fish he lands. The other guy, sadly, hasn’t caught a fish all morning. The harder he tries the more hopeless it seems, and he’s beginning to get a little tired of the whole situation. If it were not for his partner’s obvious success, he probably would have moved spots a long time ago. Strangely enough, this sort of thing happens frequently. But why? Unless the lucky fisherman is spiking his fly with shrimp juice, the answer is probably presentation. “Presentation” is the way an angler delivers a lure or bait to a fish. A fly’s location, direction, speed, and action all combine to create presentation. A good presentation can either make a fly look like natural prey, or it can trigger an instinct that compels a fish to bite. Good presentations are sometimes made by accident, but anglers who consistently make effective presentations across a wide array of conditions put a lot of practice and thought into what they do. This month we’ll take a look at a few ways you can improve your presentation skills. Location (where you place the fly) is the first and most obvious component of presentation. Each time you make a cast, you are targeting a strike zone. If you can see the fish, you have should have a clear vision of the strike zone and where the fly needs to land. It’s a 2 dimensional game. If you make a good clean cast and don’t spook the fish, you have a good chance of catching him. But when you are fishing in deep or murky waters you cannot see the fish and must rely on your instincts and experience to visualize strike zones. Now your presentation becomes a 3-dimensional puzzle encompassing distance and depth. Are the fish you are targeting likely to be suspended? Are they hugging the edge of a channel or a deep bar waiting for food to wash by? Are they lurking at or near the bottom? These are questions you should ask yourself when you are staring across a new piece of water, planning your approach and envisioning strike zones. Predators are seldom evenly and arbitrarily scattered across a broad swath of water. Rather, they position themselves in specific areas to conserve energy, to avoid being seen, and to ambush prey. Envision the contours of the bottom and the areas where channels and currents intersect. Are there oysters, submerged structures, or hidden edges? 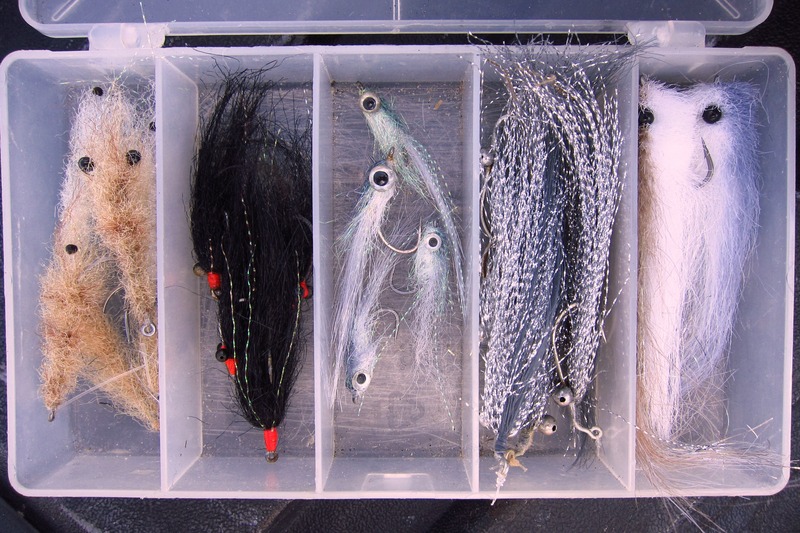 Visualize where you think the fish are located along these features and try to reach them with your fly. 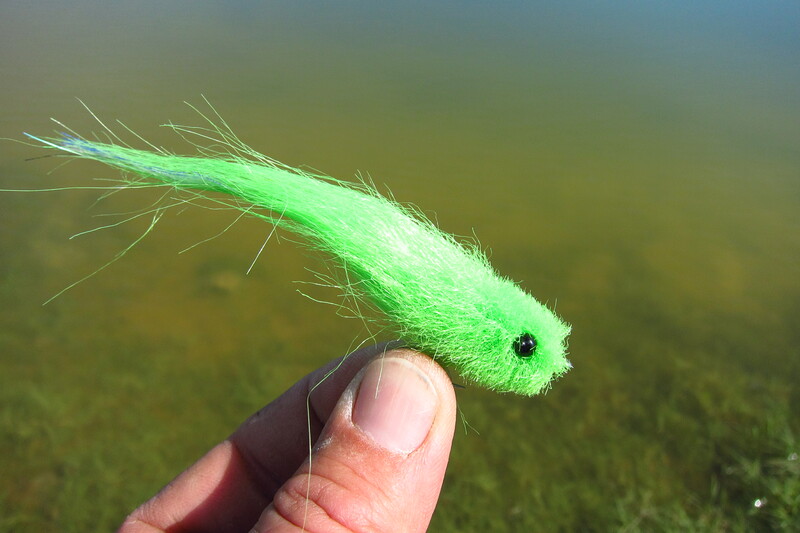 From the loudest popper to the softest Seaducer, each fly is designed to do a specific thing. Know what that thing is and let the fly work for you. For example, consider the spoonfly. The spoonfly is perhaps one of the hardest working flies around. It wobbles, it flashes, it darts and dips. It also catches a lot of fish. But a spoonfly does some of its best work when the retrieve stops and the fly stalls and flutters to the bottom, without input from the angler. 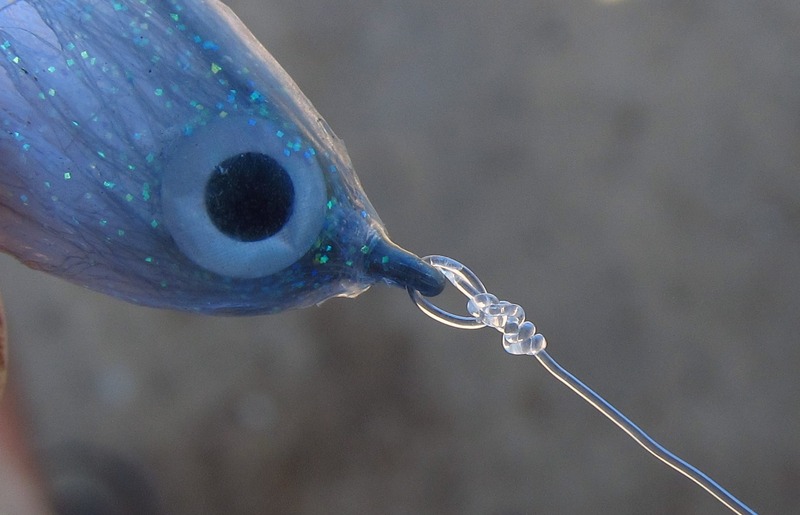 In essence, the same is true of a Clouser Deep Minnow- many of the strikes come on the fall. But this won’t happen unless the angler significantly pauses the retrieve and lets the fly fall. Benthic patterns like crabs, worms, and some shrimp flies have a challenging job. They are designed to nestle into or skip over the bottom and trick what can sometimes be very wary fish. 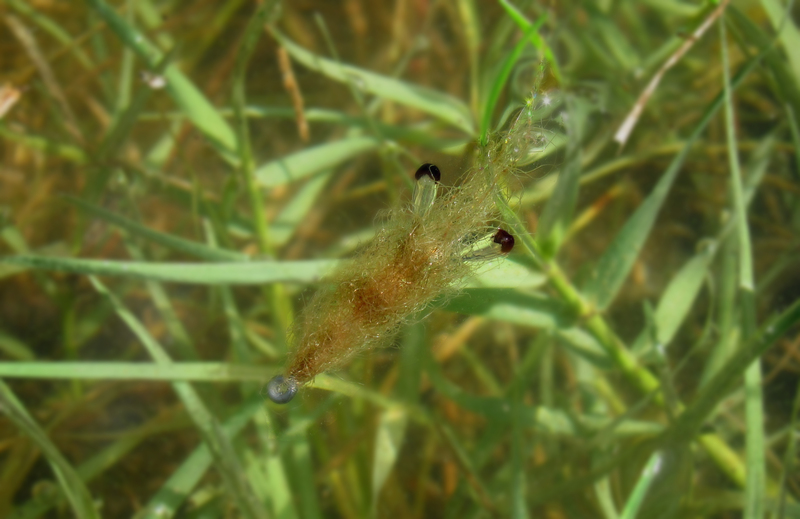 Benthic patterns must be weedless and are dressed to be seen but not “too seen.” They usually have features like feelers, small spots of color, or rubber legs that grab the attention of passers-by without completely blowing their cover. Of all flies, benthic patterns will undergo the most scrutiny before they are eaten. Let their natural actions work for you. When allowed to sit on the bottom, these patterns can be very effective, especially on frustrating species like black drum and sheephead. The naturally fluid fibers of most benthic patterns will wave and pulse seductively. Remember, these flies are designed for the sand and mud. Put them there and let them work their magic. Fleeing baitfish and shrimp do not swim in a constant steady motion. Neither should your fly. Watch what your retrieving hand is doing. Are you making a steady strip… pause…. strip… pause…? Change it up. Erratic retrieves are almost always more natural looking than steady ones, simply because nature does not go in a straight line. Try making more short twitches and staccato style strips with uneven pauses in between. You will be surprised how well fish will respond to these. Likewise, altering the speed of your retrieve can often garner great results. Some fish (especially fast swimming pelagics) almost always prefer a fast retrieve- as fast as you can make it. They won’t touch a slow moving fly but will nab one that’s zipping through the water column. I recall fishing for stripers over open water once when the only way we could get a strike was to use a blazing fast hand-over-hand retrieve. The stripers wanted the presentation fast and if you gave it to them they would strike. On the other hand, there are times when a painfully slow suspended presentation is highly effective. Think “Corky” here. Big trout… cold water. But whether you are fishing for bonito or black drum, remember- the primary goal of the retrieve is not bring the fly back to you so you can cast it again… it is to make the fly look alive so you can catch a fish. Perhaps one of the most overlooked ways to impart good action into flies is to tie them on with a loop knot. It amazes me how much of a difference this makes in the movement of flies, especially when using heavy leaders or tippets, or very small flies. A loop knot forms a smooth swivel point between the hook eye and the leader. This allows the fly to wobble, dip, and dart without spinning. If you need proof, simply tie your favorite fly on with a loop knot, make a retrieve, and then tie it the same fly on with a conventional knot and make a retrieve. I’ll guarantee you’ll see the difference. The loop knot is a terrific asset, and I honestly can’t think of any flies that do not benefit from it. Until next month, keep working on your presentation. Visualize the fish, get your fly in the strike zone, and make a lifelike retrieve. These are techniques that will benefit you whenever and wherever you choose to fish. Your site is stunning, from the art work to the fishing information. Your recipes and instructions are second to none. Thank you for making this available to the rest of us! Thanks Ken! Glad you like it. Please let me know if there is anything I can help you with. Relatively new to fly fishing, and even less experienced in fly tying, your site has really inspired me. The tulip glitter glue has turned my striper flies into durable, long lasting artwork. I even began using a similar type of fabric glue on some crease flies to give them that coating of sparkle. Your tips and tutorials are great, and because you share them, I catch more fish. Good luck with all your fly tying and fishing… Especially those stripers!